Here You can download the complete list of latest updated HP Pavilion dv 2000 drivers for windows xp and windows vista and windows 7. This HP Pavilion notebook is rated as the best entertainment notebook that offers the striking features enabling the users to have the necessary power for both work and play. This HP Pavilion dv2000 notebook designed with Laminated scratch-resistant body is powerfully configured with T2400 Core Duo processor, 1 GB DDR2 SDRAM, 80 GB SATA 5400 RPM HDD, 14.1 WXGA LCD1280 x 800 resolution, Intel GMA 950 graphics with 128 MB VRAM, DVD RW double layer support, LightScribe technology Optical Drive, 802.11a/b/g Wireless LAN, Bluetooth, and 6Cell Lithium-ion battery. 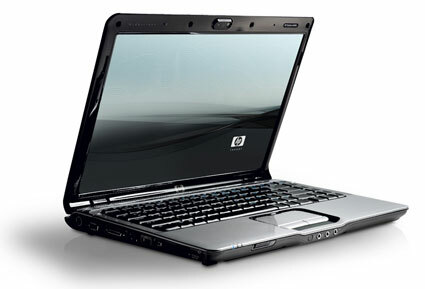 Following are the driver collection of recent updated version of HP Pavilion dv2000. The user can choose the required appropriate driver software based on the compatible operating system. Click the link here for the nvidia nforce chipset drivers and have an ultimate solution for the peak performance of HP Pavilion dv2000. Highest performance in graphics, effective bandwidth, best interaction between CPU and memory are some of the prominent features of the driver. The user can just click the link and save the .exe file and execute it with simple step-by-step instructions. A good entertainment always requires an astounding display. HP Pavilion dv2000 users can have the best and stronger viewing performance from the graphics driver linked in this page. It is the Intel Graphics Media Accelerator (GMA) 950 graphics driver that can be clicked from here for instant download. The driver file can either be opened and run instantly or saved on the hard drive and install it later by clicking the executable file and follow the on-screen instructions. As soon as the installation is over, restart the system. This HP dv2000 pavilion notebook comes with Powerful output generating. Conexant Audio driver is available in this link that delivers the powerful Audio output and allows the user to have an enjoyable experience with movies, games and other audio formats. Clicking the “download”link from this page connects to the direct download of the Audio driver and user interface for the Conexant High Definition Audio Chip in HP Pavilion dv2000. The link takes to an executable file which can be saved in any directory on the Hard disk drive. Run the executable file and follow the on-screen instructions. Once the installation reaches the Finish stage, restart the system. The various Wireless network issues faced previously such as EAP-FAST Authentication failure, excessive packet loss, unable to acquire an IP address from DHCP Server etc. are easily fixed with the latest version of Intel Pro / Wireless Driver which is readily available here for quick download and easy install. Synaptic touchpad driver with powerful features like Palmcheck, tap zones, double tap and EdgeMotion is here for free downloading. It is a WHQL certified driver which eradicates all the errors of the previous versions. You can click the link and save the executable file. Later the saved file can be executed to run the installation process.